One of the traps that many parents fall into is in wanting their athlete’s success too much. It is, for you dads and moms, almost like you are playing the game yourself through your athlete; if you are coaching your athlete this challenge can be exponentially greater. When I was coaching my daughter every game was a lethal combination of pleasure and pain. I would live and die on every one of her at bats. It was as if her success or failure was mine. Does that sound familiar to you? Even if you do not coach your athlete the challenge of wanting her success too much is something you should look at for yourself and/or spouse or other family members. Even if you were the best athlete of your generation it is your athlete and not you playing the game. She must make her own way which means making mistakes and not being perfect. Remember, mastery is a journey not a destination. It’s funny in my own head, when I critique my own daughter on her performance, I selectively forget how often I struck out, made errors in the field and walked hitters on the mound when I played the game. Do you do the same thing? All your athlete needs and desires from you is unconditional support and love—whether she goes 4-4 or 0-4. It’s time to stop taking her successes and failures so personally. In a future blog I will cover the importance of your athlete’s ability to recognize the factors she has and does not have control over. Well I would say the same thing to you…you have no control over how your athlete performs on the field. Sure you may spend countless hours working on her game with her, and that is admirable. However, when she puts the uniform on and crosses the white lines it is far more healthy for you and for her if you can “let go” of injecting yourself into her performance and allow her to be the athlete, not you. I’m sorry to be the bearer of bad news, and believe me this has been a hard one for the old athlete in me, but your playing days are over! Let her have her day in the sun without you willing every pitch or every hit. If you can remain calm and a somewhat impartial observer at your athlete’s games (good luck with that, right?) both you and her will enjoy the game a whole lot more. Sure it’s exciting and tremendously fulfilling to see your athlete succeed, but what about when the emotional roller coaster dips when she fails. How does that feel for you? Wanting her success too much can begin to make the game unpleasant for both of you. So enjoy watching your athlete play and achieve success on her own without feeling the need to will it for her! 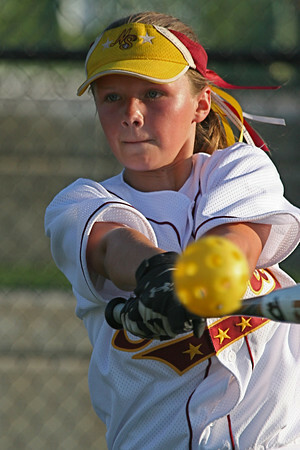 To learn more about the 21 Mental Performance Killers than can keep your athlete from the top of the recruiting list go to: http://www.WinnerEdgeSoftball.com.